I’ve found that as I get older (yes I am approaching the wrong side of 20) I’m appreciating music much more than I ever really did. Now that’s not to say I’m not still a total fangirl at heart, but I guess that writing about music and listening to new artists on a daily basis has forced me to listen to music more closely. With that in mind, I wasn’t really sure what to expect from the Royal Northern Sinfonia’s 60th birthday celebrations at Sage Gateshead but I knew that I had to be there. Especially as one of my favourite bands of all time, Maximo Park, were going to be there. I don’t think anything could have really prepared me for how incredible the evening actually was, and how emotional it was too. But of course I knew that three of the finest North East acts playing with the UK’s only full-time chamber orchestra was going to be a night to remember. Unfortunately I missed Martha Hill, who was the night’s first act. I swear I’ll get to see her live one day! We made it just in time for Field Music who produced a very special set. Radiating with the meticulous care and intricate patterns that make Field Music so mesmerising to both watch and listen to, there was something really intimate and raw about the band’s performance that I loved. Flawless. 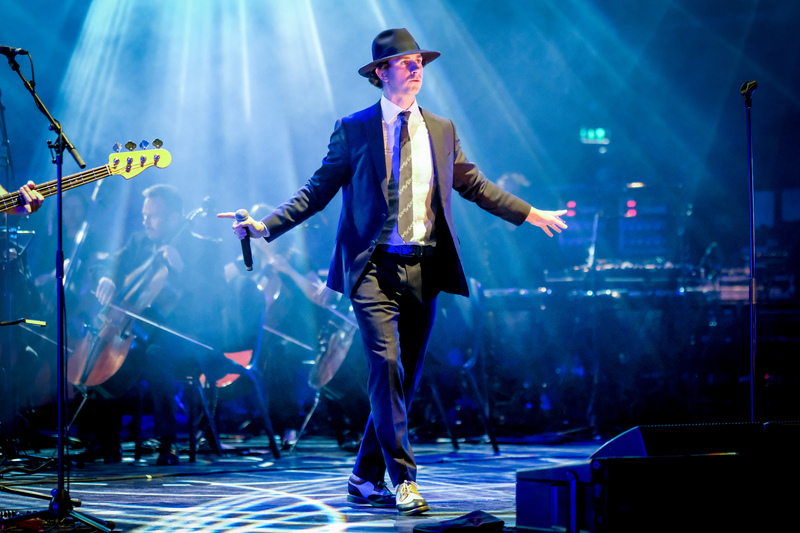 Soon it was time for Maximo Park to take to the stage and I felt excited and nervous at the same time. How would tracks such as ‘Apply Some Pressure’ sound with an instrumental ensemble that I naively associated as limited to classical music? As the opening chords for ‘Books From Boxes’ (a favourite from my teen years) started to fill the venue, I felt all anxiety slip away. I was hooked. 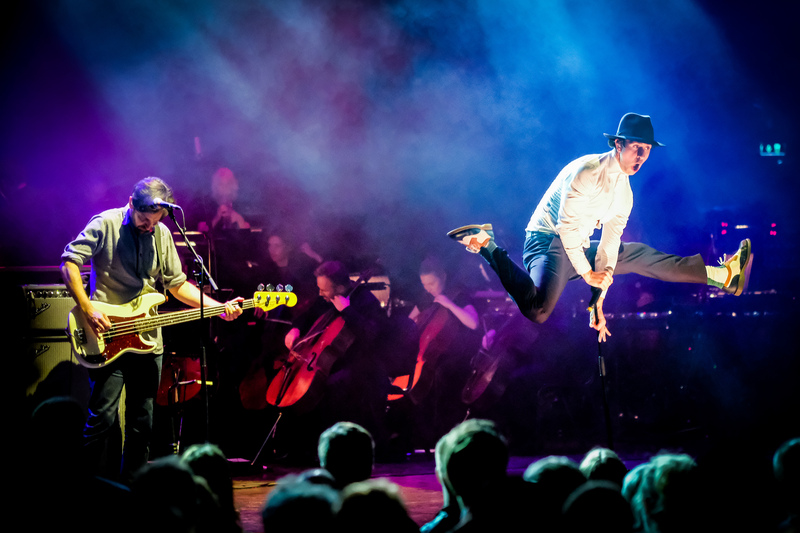 Each note from Maximo Park was emphasised and brought even more to life by the RNS, creating an atmosphere that you can only experience live. You could see that everyone in the room was in awe and as each riff bounced from the walls, we began to sing each lyric back and reminisce of circa 2007 when British guitar music was at its peak. Second track up was the gorgeous ‘North By North East’, opening on beautiful violins which were soon accompanied by dramatic arrangements from a whole host of other instruments. Written for this summer’s Great Exhibition of the North, ‘North By North East’ is a perfect ode to the region which sounded stunning live and very different to what you would usually hear from Maximo Park. The combination of the band’s energetic indie-rock against the dazzling soundscapes produced from the RNS resulted in something that I’ve never actually seen before. Hits such as ‘Going Missing’, ‘Hips and Lips’ and ‘Our Velocity’ retained that genre we love so much from Maximo, with each riff and percussion beat soaring through frontman Paul Smith’s earnest vocals. Fan favourites such as ‘Midnight on the Hill’ and ‘Calm’ were also a welcome addition and a nod to the extensive back catalogue that the North East band has. A perfect mix of raw British indie guitar music that Maximo Park are so good at and the exceptional talent from RNS made this a night to remember. The icing on the cake was of course Paul Smith’s trademark jump at the end as the audience got up on their feet to dance, clap and sing. I’m going to be as bold as to say this is one of my favourite gigs of 2018.